Shadowhunters Photos from "Iron Sisters"
Get out your cameras, Malec fans! 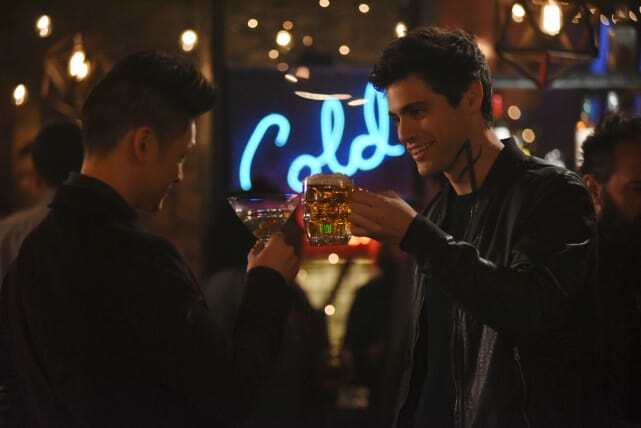 The moment we've been waiting for is finally here: Magnus and Alec will be heading on their first official date on Shadowhunters Season 2 Episode 6. Based on episode photos, it seems the pair will be keeping it casual with a bar night. Will drinks and games spell success or is this only wishful thinking? This is when we find out if shipping dreams come true. 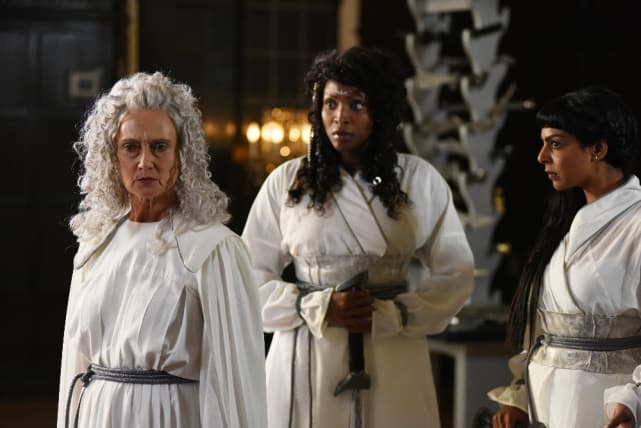 Check out the photos below for "Iron Sisters", which airs Monday, February 6 on Freeform. Don't forget, you can watch Shadowhunters online via TV Fanatic to catch up on past episodes. The first date is always the most awkward and uncomfortable. But will it be a success? 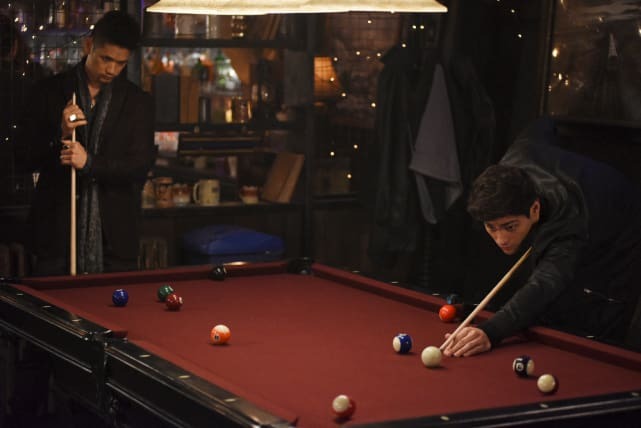 From the smile creeping on Alec's face, it seems like he's enjoying his first date with Magnus. How cute are these two? Is it me or do these lovebirds look a little too serious playing a game of pool? Competition can bring out the worst in someone. 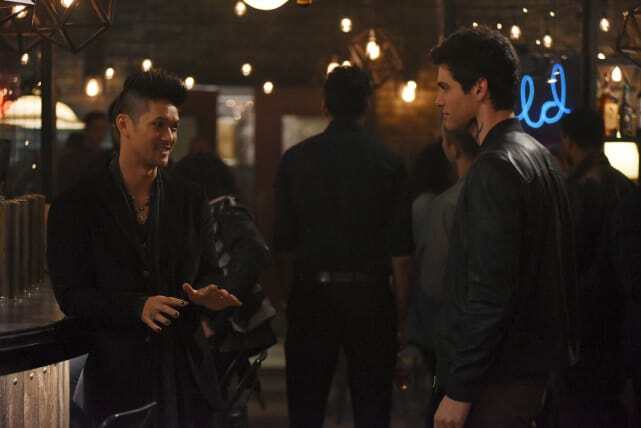 Alec does not look comfortable chatting with Magnus during their date. What could make him worry so much? 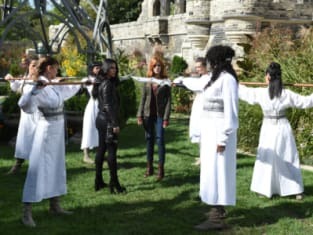 Isabelle revealed a bit about this deadly group of fighters on Shadowhunters Season 2 Episode 5, but not much else. Why have the Iron Sisters arrived? After the time Clary has been having lately, some words of wisdom might be the best thing for her. 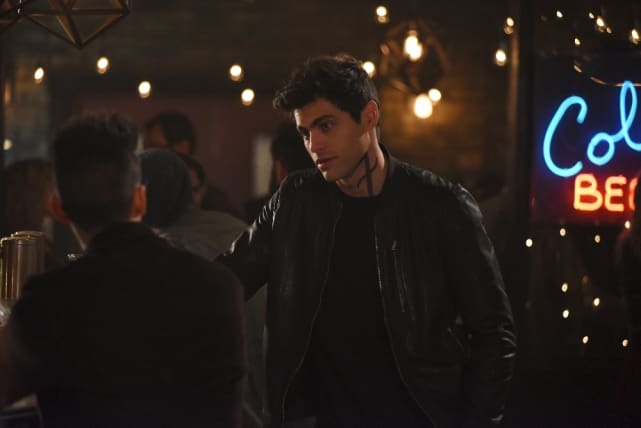 Shadowhunters Season 2 Episode 6: "Iron Sisters"
Shadowhunters Photo Preview: Date Night! Maia: I don't have anyone who cares about me. Permalink: I don't have anyone who cares about me. When I heard Jocelyn die, I've never felt pain like that...not since my family disowned me. Permalink: When I heard Jocelyn die, I've never felt pain like that...not since my family disowned me.